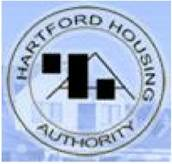 The Housing Authority of the City of Hartford (the “Authority”) is seeking to contract with a qualified firm or firm(s) to tow illegally parked vehicles from its administrative, warehouse and residential rental properties in accordance with the Section 2, Scope of Services. The Authority reserves the right to make one award or multiple awards under this RFP, whichever is deemed to be in its best interest. The Authority reserves the right to make partial or full award of the services described below to a contractor or contractors (referred to herein as “Contractor”). Any obligations of Respondents in this RFP continue to be obligations of Contractor(s) when awarded. The Authority owns and operates administrative offices, a warehouse and several apartment complexes and individual sites throughout the City of Hartford. A listing of all properties is provided in Attachment A. The list may change throughout the course of the contract due to the sale or purchase of properties. Roughly, 100-200 cars have been towed per year over the last several years. The Authority will not pay the selected Contractor or Contractors to perform the services described. All compensation to the Contractor will be collected from the owners or agents of owners of vehicles which are towed as described in this RFP. Term Contract. The term of the contract resulting from this solicitation (the “Contract”) will be for three (3) years commencing on the date of award. Upon satisfactory completion of the initial term of the Contract, the Authority may extend the term of this Contract for two additional one year terms at its sole option at the prices established in Appendix B of the Contract or in accordance with prices set in the Connecticut General Statutes (if applicable). The Authority shall provide Contractor with written notice of its intent to extend the Contract at least one hundred eighty (180) days prior to the expiration of the then current Contract term. NOTE: Any solicitation or lobbying directed to any Authority staff or the Board of Commissioners is prohibited and is grounds for disqualification of Respondent's proposal.